The term MapReduce represents two separate and distinct tasks Hadoop programs perform-Map Job and Reduce Job. Map job scales takes data sets as input and processes them to produce key value pairs. Reduce job takes the output of the Map job i.e. the key value pairs and aggregates them to produce desired results. 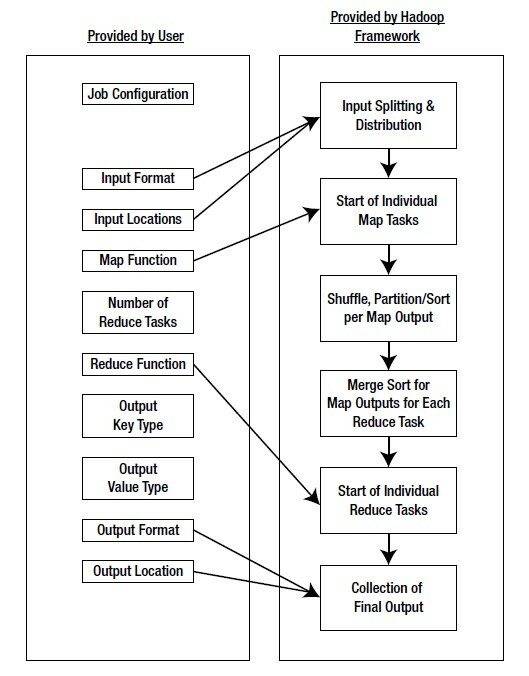 The input and output of the map and reduce jobs are stored in HDFS. 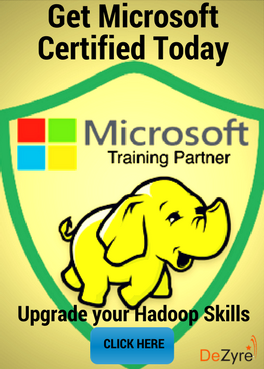 Please click the orange button on top for Hadoop Online Training info. Hadoop MapReduce (Hadoop Map/Reduce) is a software framework for distributed processing of large data sets on computing clusters. 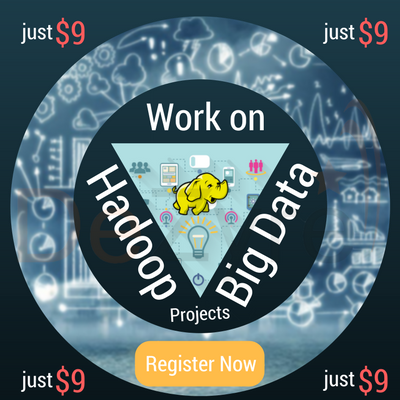 It is a sub-project of the Apache Hadoop project. 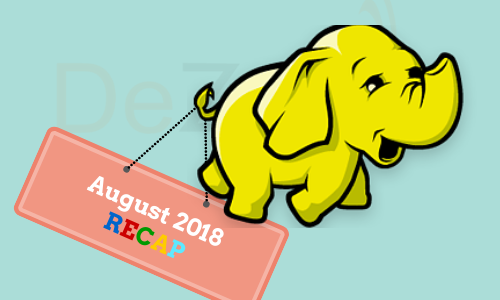 Apache Hadoop is an open-source framework that allows to store and process big data in a distributed environment across clusters of computers using simple programming models. 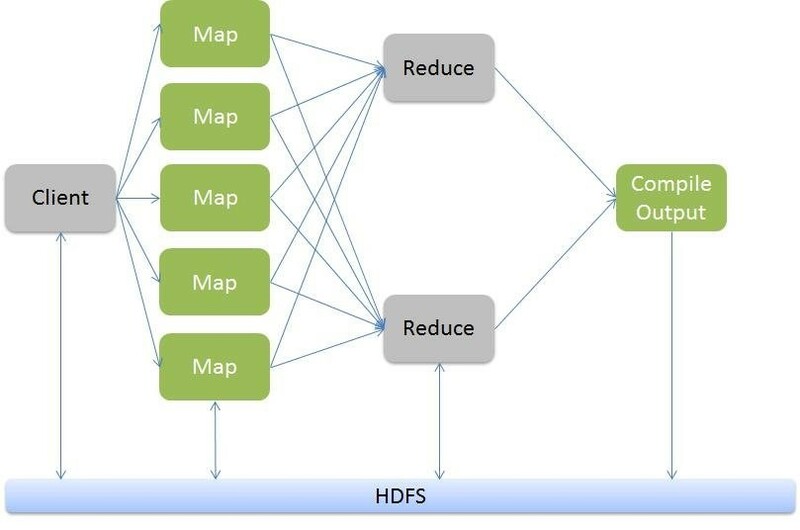 MapReduce is the core component for data processing in Hadoop framework. In layman’s term Mapreduce helps to split the input data set into a number of parts and run a program on all data parts parallel at once. The term MapReduce refers to two separate and distinct tasks. The first is the map operation, takes a set of data and converts it into another set of data, where individual elements are broken down into tuples (key/value pairs). The reduce operation combines those data tuples based on the key and accordingly modifies the value of the key. The following word count example explains MapReduce method. For simplicity, let's consider a few words of a text document. We want to find the number of occurrence of each word. First the input is split to distribute the work among all the map nodes as shown in the figure. Then each word is identified and mapped to the number one. Thus the pairs also called as tuples are created. In the first mapper node three words Deer, Bear and River are passed. Thus the output of the node will be three key, value pairs with three distinct keys and value set to one. The mapping process remains the same in all the nodes. These tuples are then passed to the reduce nodes. A partitioner comes into action which carries out shuffling so that all the tuples with same key are sent to same node. The Reducer node processes all the tuples such that all the pairs with same key are counted and the count is updated as the value of that specific key. In the example there are two pairs with the key ‘Bear’ which are then reduced to single tuple with the value equal to the count. All the output tuples are then collected and written in the output file. 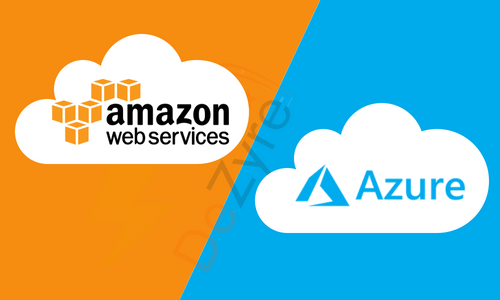 Various platforms are designed over Hadoop for easier querying, summarization. 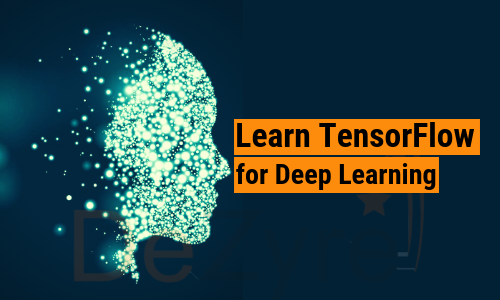 For instance, Apache Mahout provides machine learning algorithms that are implemented over Hadoop. 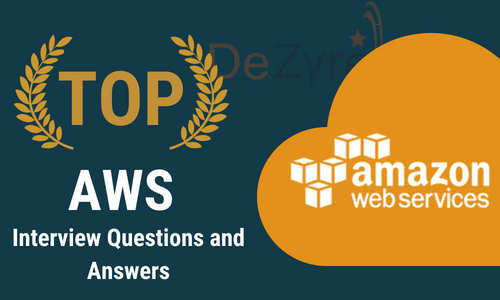 Apache Hive provides data summarization, query, and analysis over the data stored in HDFS. MapReduce is primarily written in Java, therefore more often than not, it is advisable to learn Java for Hadoop MapReduce.MapReduce libraries have been written in many programming languages. 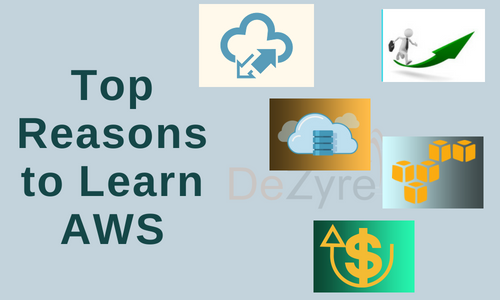 Though it is mainly implemented in Java, there are non-Java interfaces such as Streaming(Scripting Languages), Pipes(C++), Pig, Hive, Cascading. In case of Streaming API, the corresponding jar is included and the mapper and reducer are written in Python/Scripting language. 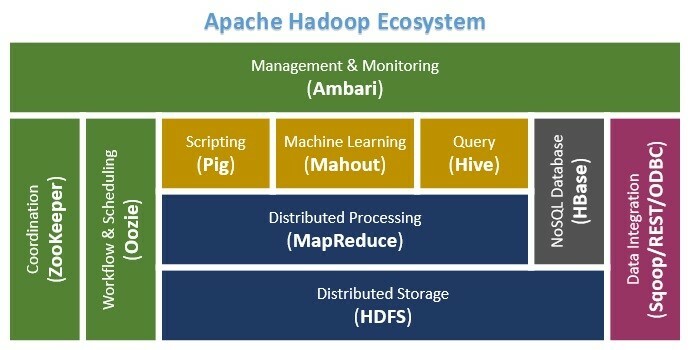 Hadoop which in turn uses MapReduce technique has a lot of use cases. On a general note it is used in scenario of needle in a haystack or for continuous monitoring of a huge system statistics. One such example is monitoring the traffic in a country road network and handling the traffic flow to prevent a jam. One common example is analyzing and storage of twitter data. It is also used in Log analysis which consists of various summations. Input parameter mentions the input files and the output parameter mentions the output directory. Mapper and Reducer mentions the algorithm for Map function and Reduce function respectively. These have to be mentioned in case Hadoop streaming API is used i.e; the mapper and reducer are written in scripting language. The commands remains the same as for Hadoop. The jobs can also be submitted using jobs command in Hadoop. 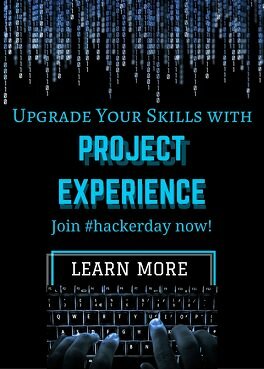 All the parameters for the specific task has to be mentioned in a file called ‘job-file’ and submitted to Hadoop using the following command. hadoop job -kill     Kills the corresponding job.